Today, Ohio Attorney General Mike DeWine filed suit against Texas-based Energy Transfer Partners Rover Pipeline, to collect $2.4 million in civil penalties remanded to his office by the Ohio Environmental Protection Agency. This comes after months of public calls from Ohioans for action following Energy Transfer’s repeated Clean Air Act and Clean Water Act violations. This comes as the Federal Energy Regulatory Commission (FERC) just reduced oversight requirements for drilling under our waterways as Energy Transfer Partners prepares to drill under the Ohio River near Sardis, Ohio. “It is unfortunate that it has taken this long for Mike DeWine to hear Ohioans calls to protect our waterways from Energy Transfer’s reckless operations. 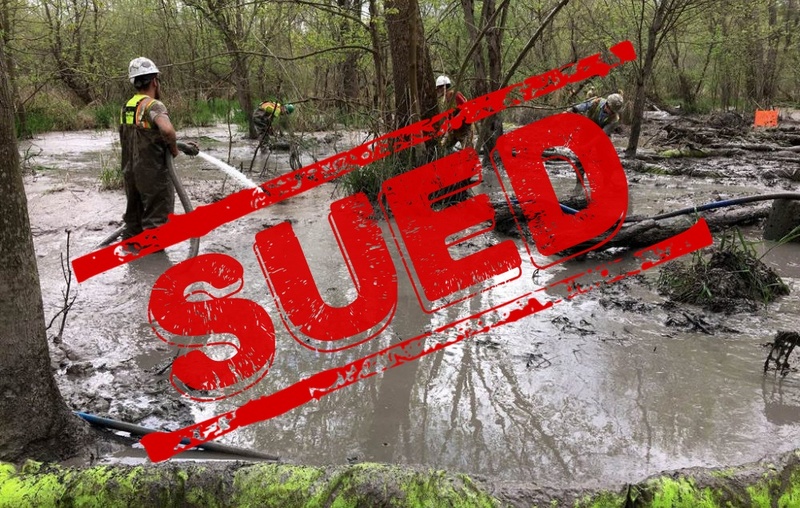 The Ohio Environmental Protection Agency has been extremely vocal about Energy Transfer Partners disregard for Ohio’s authority to protect our water and community health over the last seven months without DeWine following through with action. “Unfortunately, Ohioans are not out of the woods yet. Because of FERC’s failure to protect those in the path of this dirty and dangerous project, farmers will have to deal with field flooding and compaction issues into next year’s planting season because the company has completed only 8% of farm field drainage tile repairs along the pipeline route. This speaks volumes it’s proof, it’s undeniable, and yet how many oppose the ruining of life providing water. Man we get only one time on this earth and these ignorant shale oil companies don’t care anything except money. The money greasing our government must be stopped. Isn’t this illegal????? ?